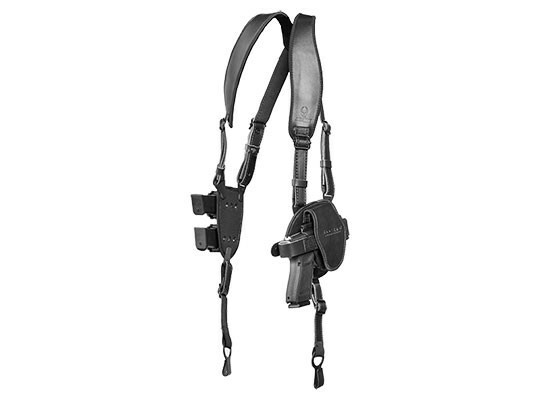 Thought about carrying with an M&P40C shoulder holster before? 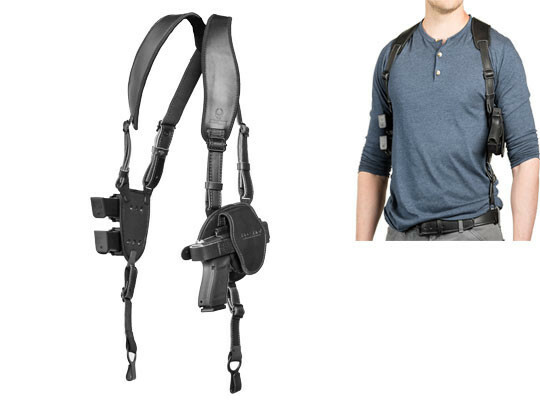 Everyone has had the shoulder holster thought at some point. 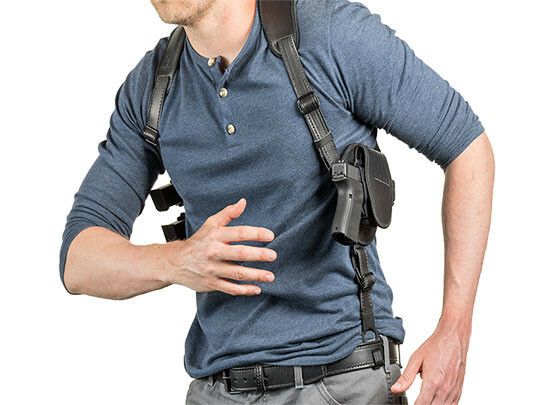 What usually happens when people actually get one is they quickly find their shoulder holster doesn't carry comfortably, or doesn't actually conceal all that well, and the shoulder rig winds up in the holster drawer or the trash. At best, it becomes an occasional use item. 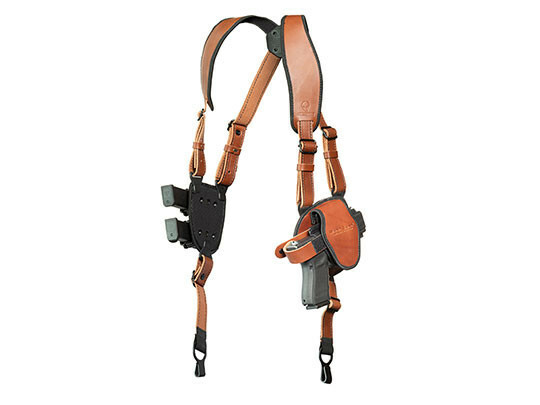 The straps of this M&P40C leather shoulder holster are padded with our CoolVent neoprene for greater comfort. 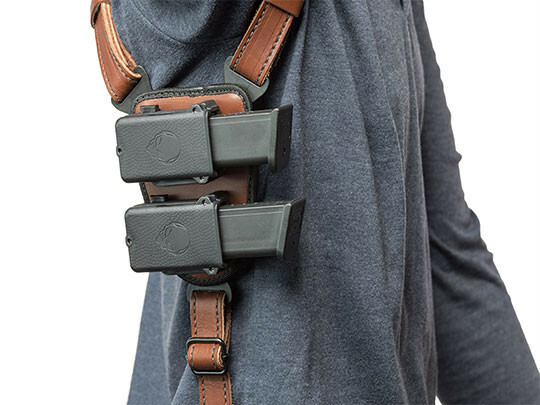 The straps are joined via a clover harness, which lets the straps find a natural drape over your shoulders and move independently, keeping the holster in place as you carry. 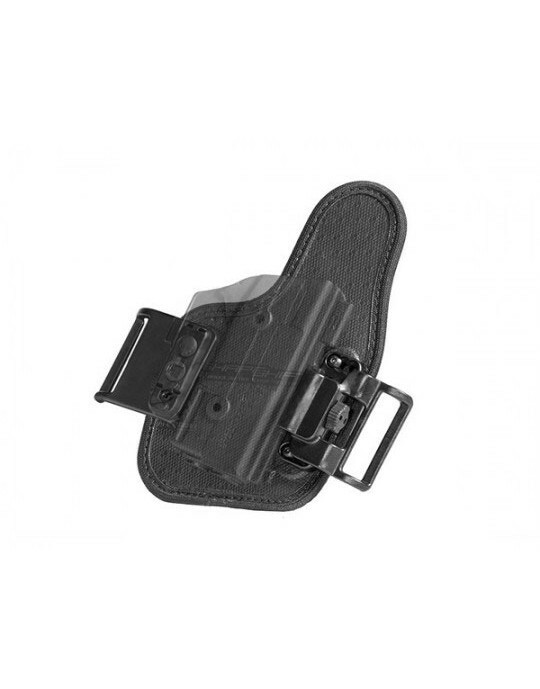 The leather straps hook to the belt, distributing the weight better and also drawing the holster tighter to the body and aiding concealment. The holster itself can be adjusted for ride height but also cant angle. 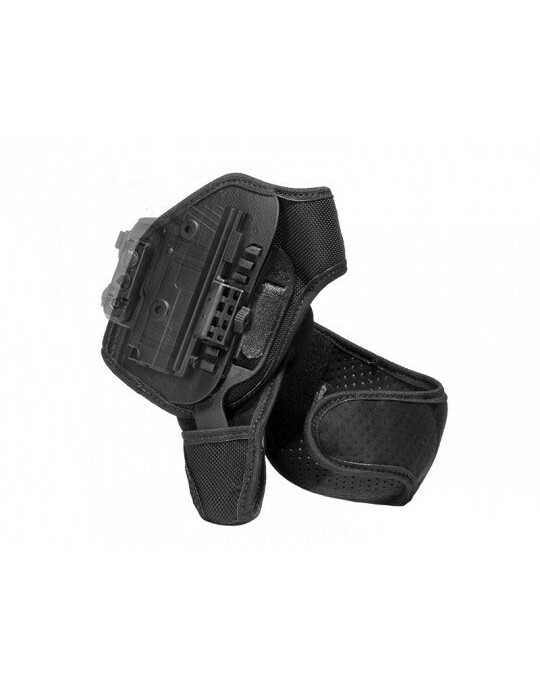 It can be worn horizontally, with a positive or negative cant or as an M&P40C vertical shoulder holster. 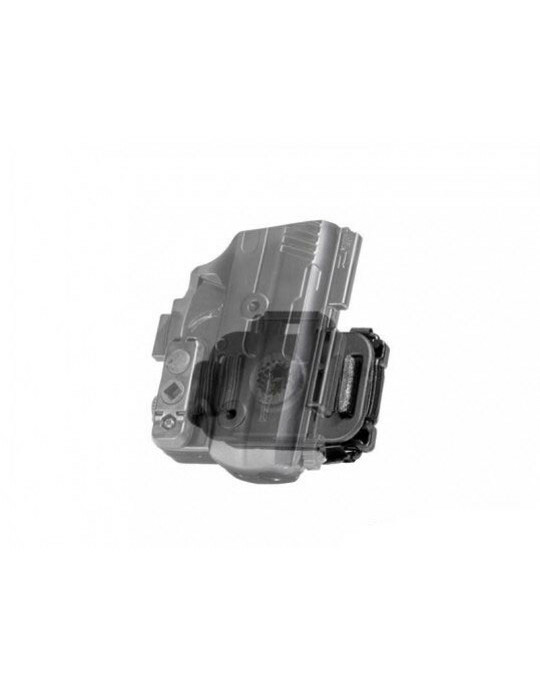 The holster itself is our ShapeShift M&P40C half shell, custom-molded for your make and model firearm. 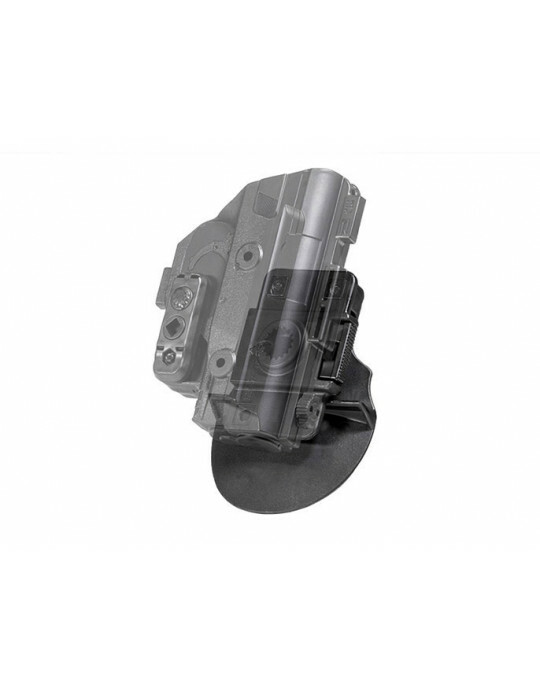 The trigger guard is fully wrapped for greater security, and passive retention is fully adjustable. 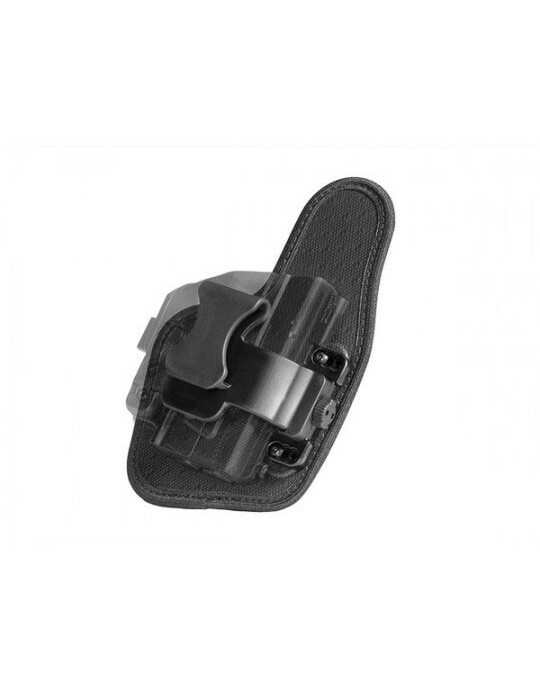 The holster is also equipped with a thumb break for active retention, though it can be removed if you don't want to carry with one. 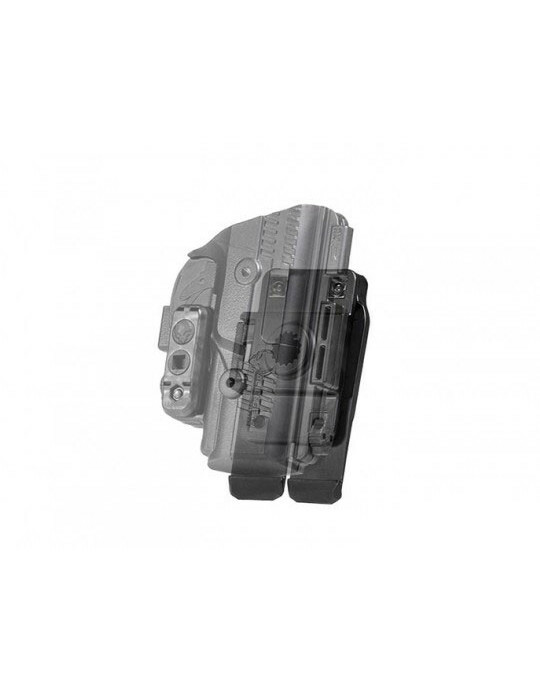 You'll also notice docking splines for up to two Alien Gear Cloak Mag Carriers on the mag carrier pad, should you wish to add mag carriers to your M&P40C shoulder holster. Carrying gives you peace of mind about your personal safety. 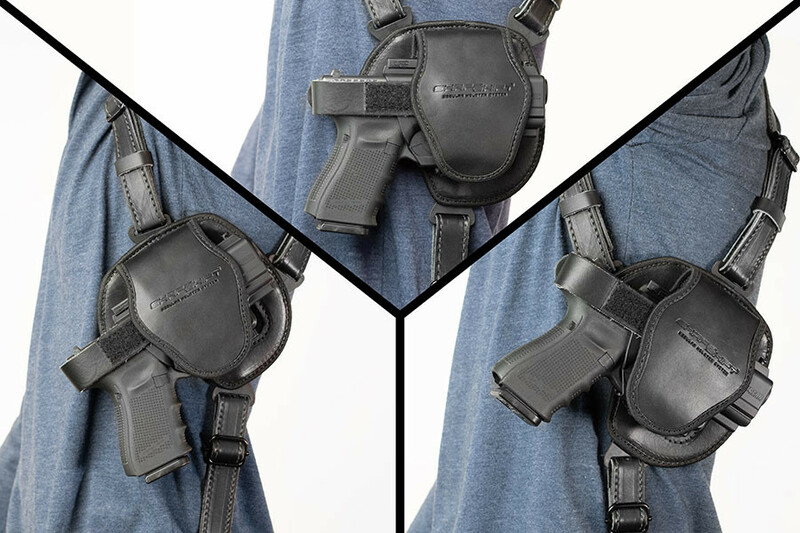 Peace of mind about your shoulder holster comes from Alien Gear's Iron-Clad Guarantee, which includes a 30 Day Test Drive trial period - during which you can return your holster for a full refund - and a lifetime warranty on the holster itself. If you've wondered how good shoulder carry can be, get ready to find out.